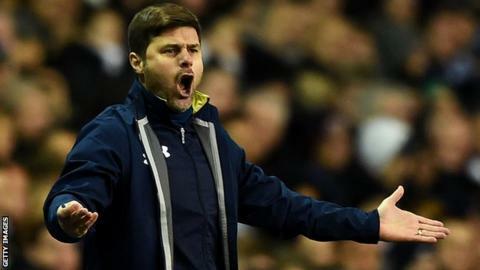 Tottenham boss Mauricio Pochettino has insisted he will not be fazed if he gets jeered by fans on his return to Southampton on Saturday. Pochettino left Saints for Spurs in May and several key players then departed - including Rickie Lambert, Dejan Lovren and Adam Lallana all to Liverpool. Tottenham are one point ahead of sixth-placed Southampton going into their Premier League match. "I don't want to be popular," said the 43-year old Argentine. "I want to be an honest person and do my job. I will expect nothing special. "This is not easy for them and difficult to understand the decision. I never had an opportunity to explain but this is football. "But the decision is done. We don't need to explain. The most important thing is that Southampton are having a great season and we are here and I am happy to be here and that is the best thing." Former Espanyol boss Pochettino arrived at Southampton in January 2013 and the following season they went on to achieve their highest Premier League finish, ending up eighth on 56 points. Ronald Koeman replaced Pochettino at St Mary's last summer and has successfully rebuilt the Saints team following the exodus of players. They are now vying for fifth place, and a Europa League spot, with Spurs. "I never doubted about Southampton reaching something good. Firstly, because they signed a very good manager," said Pochettino. "With a lot of money from selling players, they could invest nearly £80m. They signed very good players. "Southampton deserve to stay in the position that they are in now."